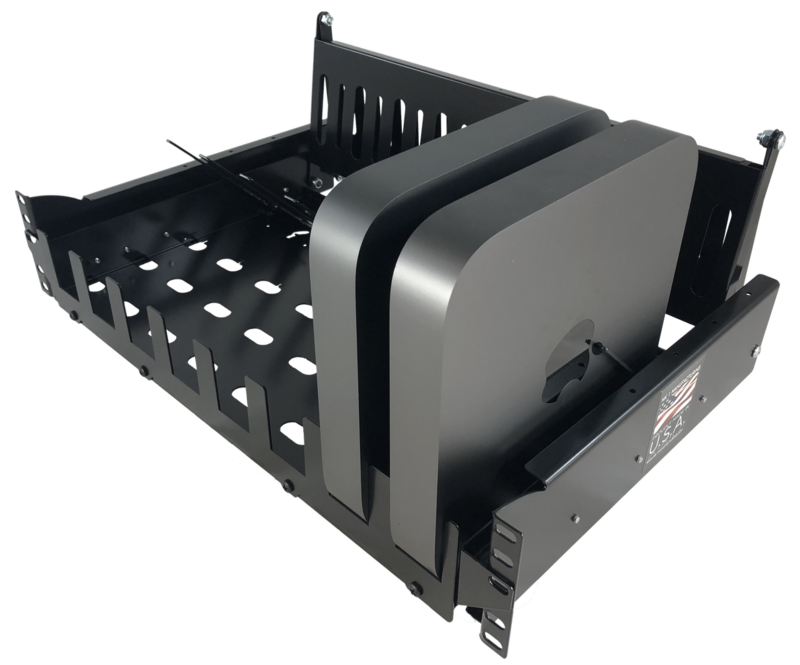 Sliding and fixed multi unit mounts for up to 8 Apple mac mini's in 5U of rack height. 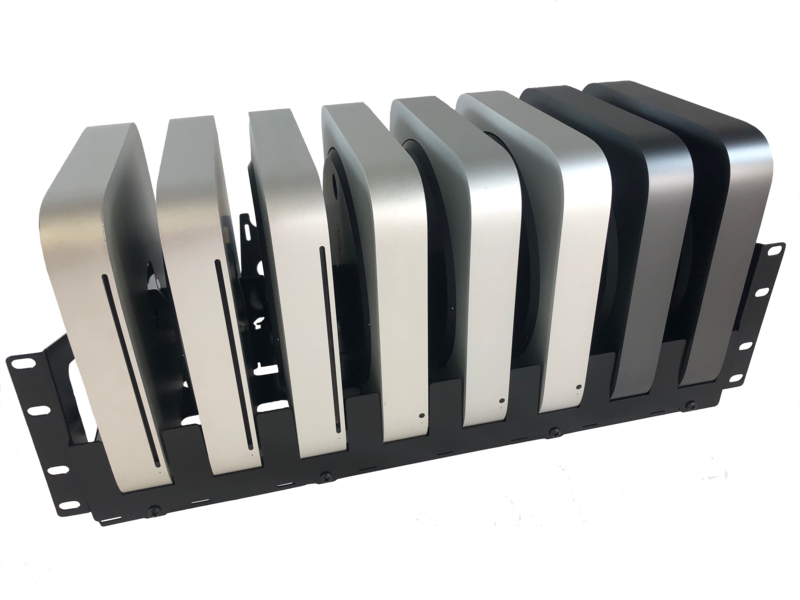 Fixed rack mount adaptor that stores eight unibody Apple Mac minis vertically. 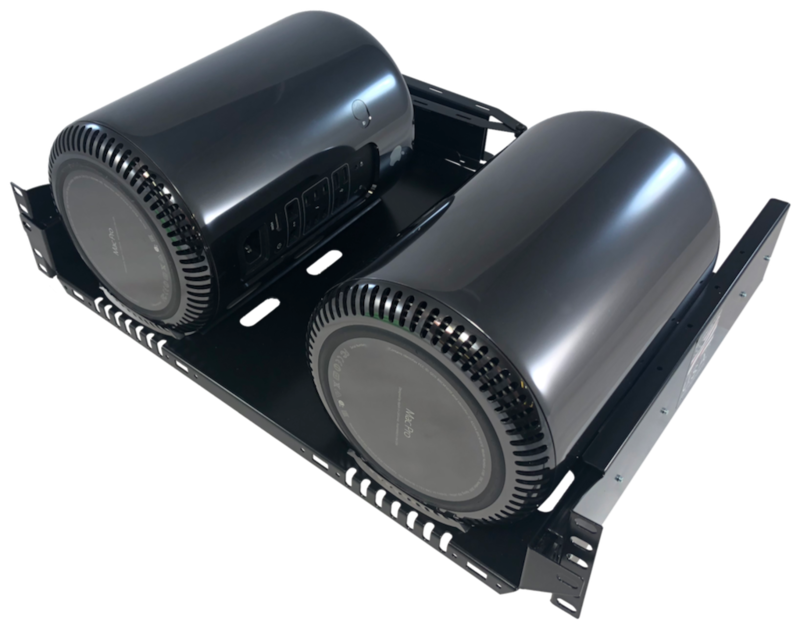 Front panel USB 3.0 ports and power switch toggles options available. 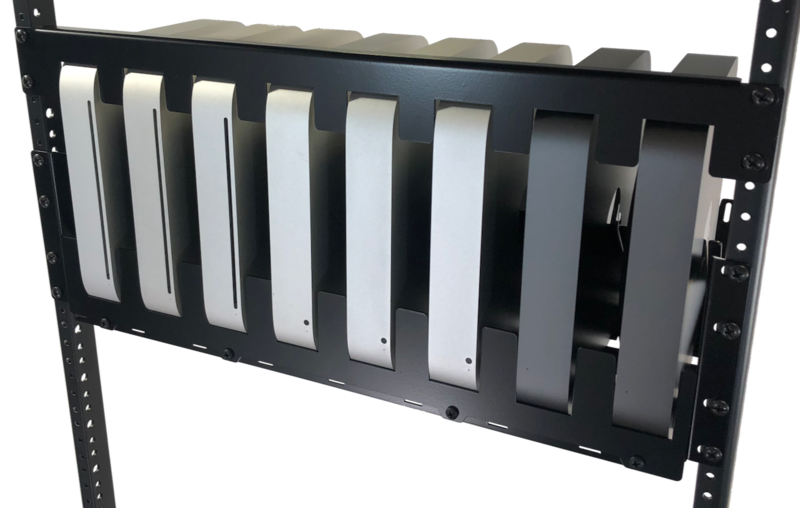 MK1 Manufacturing’s Colocation and Data Center rack mounts for vertical and horizontal mounting of Apple Mac Pro and Mac mini servers are ideal for high density installations. Creating a clean structure and organization of computers and wire management to enable smooth ongoing installation, operations and maintenance of servers. Each Mac Pro and Mac mini server is secured to the rack mount. 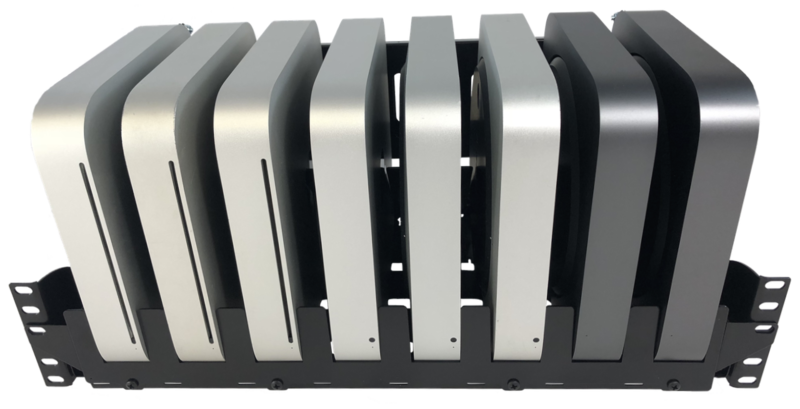 Available in both fixed and sliding versions, the ideal lineup of rack mounting hardware and shelving for all your Mac Pro and Mac mini server needs.